The Phnom Penh Water Supply Authority (PPWSA) saw its profit after tax drop for the second quarter this year, when compared to the same period last year, according to its quarterly statement published on the Cambodia Securities Exchange (CSX) on Wednesday. Revenue for the state-owned water utilities firm Phnom Penh Water Supply Authority increased 33 per cent for the first three months of 2015, compared to the same period last year, while net profit almost tripled. Revenue from the Phnom Penh Water Supply Authority – the first listed company on the Cambodian stock exchange – will be cut 800 million riel ($200,000) per year as the company implements a concession plan to lower water prices. Grand Twins International (GTI), one of two listed firms on the Cambodian Stock Exchange, has blamed third-quarter revenue losses on garment-worker demonstrations in December and January. Phnom Penh Water Supply Authority (PPWSA) – the first listed company on the Cambodian stock exchange – has recorded a profit of $1.33 million for the first quarter, a decrease of 60 per cent from the same period last year, according to audited financial statements released yesterday. The Phnom Penh Water Supply Authority (PPWSA) will invest $1.3 million in a water treatment plant in Kep province to supply clean water to more than 1,000 households there, the company’s head said last week. For the three month period ended 31 December 2013, PPWSA has total revenue of KHR 36,587,107,000 and net profit of KHR 7,479,959,000 which drops by 2.22% and 16.76% respectively, comparing to that of the three month period ended 31 December 2012. Vietnam's DHG Pharmaceutical Co posted a net profit of 603 billion dong ($28.6 million) in 2013, up 31.9 percent from a year earlier, the Vietnam Economic Times newspaper reports. CAMBODIA Post (CP), which plans to list on the local bourse, earned 8.1 per cent more revenue year-on-year in 2012, driven in part by its recent transformation from a wholly state-owned delivery company into a semi-autonomous entity. 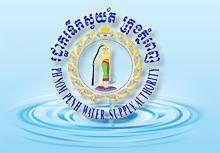 The listed Phnom Penh Water Supply Authority (PPWSA) earned total revenues of 36.9 million U.S. dollars in 2012, up 25 percent year-on-year, according to the firm' s unaudited financial statement on Wednesday.